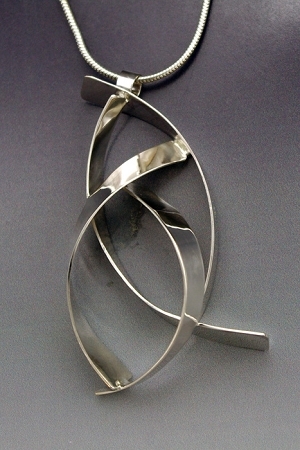 Sculptural Jewelry - This handmade delicate sterling silver pendant is created from curves that are soldered in an abstract design. This One-of-a-Kind artistic necklace comes with an 18" sterling silver snake chain. Sterling silver necklace without stones.